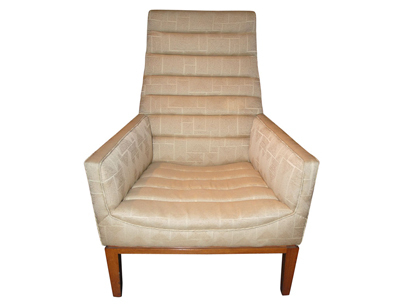 Edward Wormley designed this high-backed mahogany-framed chair, model #5961, for Dunbar, to attract from every view. 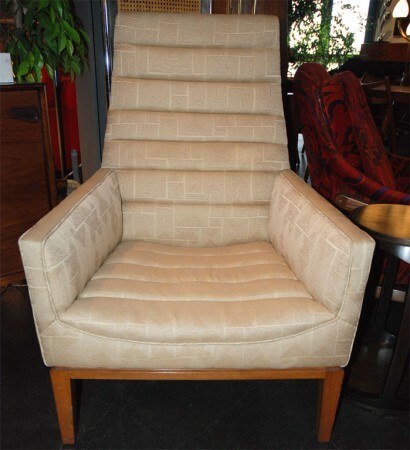 The horizontal channeling and angled open arms create a deeply comfortable seat for reading or lounging. 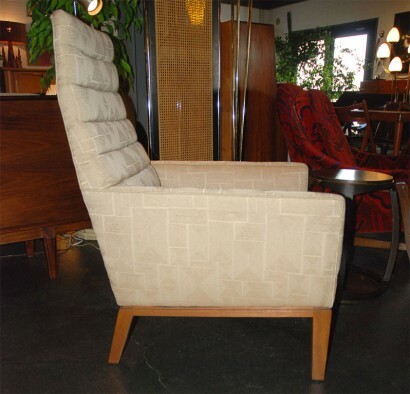 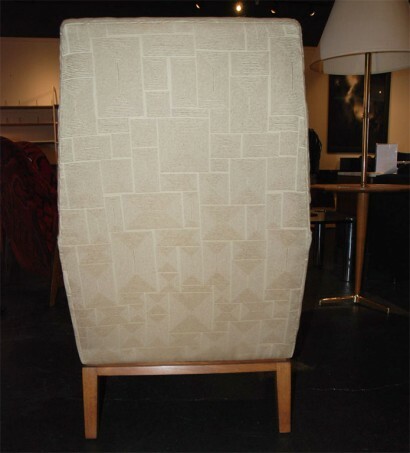 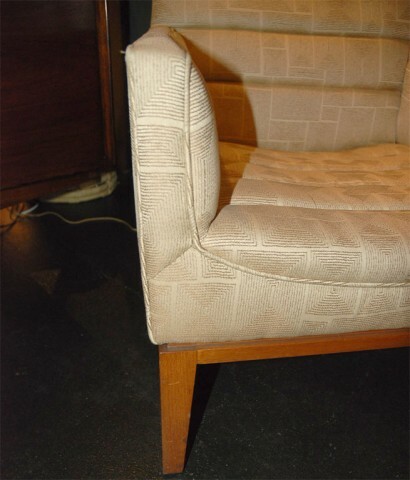 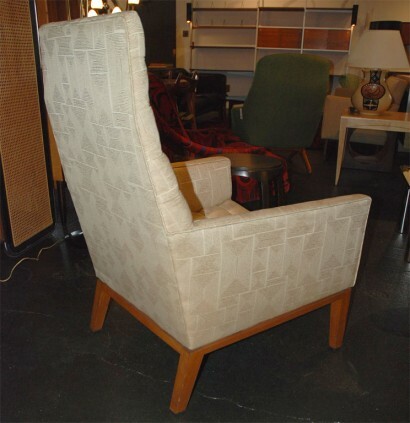 It has been upholstered in a Knoll fabric in taupe whose pattern complements the play of geometries.